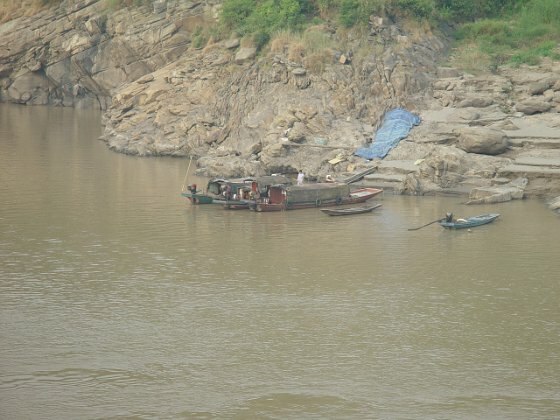 The Yangtze, Yangzi or Cháng Jiāng is the longest river in Asia, and the third-longest in the world. It flows for 6,418 kilometres (3,988 mi) from the glaciers on the Tibetan Plateau in Qinghai eastward across southwest, central and eastern China before emptying into the East China Sea at Shanghai. It is also one of the biggest rivers by discharge volume in the world.